Castaneda was introduced to the Los Angeles Unified School District (LAUSD) “We Build” Program after serving his parole. 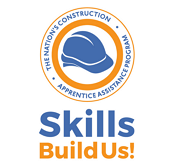 The “We Build” Program is a ten-week pre-apprenticeship program for local district residents. 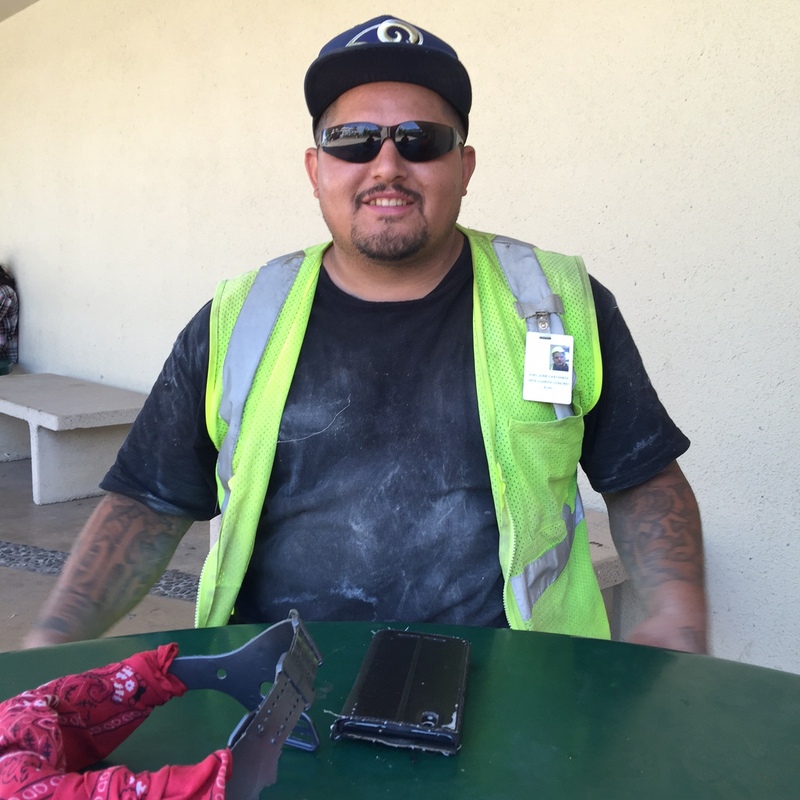 The Los Angeles Community College District’s Local Worker Hiring Program partners with “We Build” and other community programs to identify local residents interested in starting a career in construction through union apprenticeship. “We Build” gave me the opportunity to get familiar with hand tools and power tools and provide me with a sense of direction,” Castaneda said. Growing up in a housing project environment had a tremendous effect on his life. Castaneda faced many difficulties growing up. He experienced financial struggles as a teenager and sometimes had no place to go. He was in and out of prison for petty crimes and committing felonies and was involved in gang-related activities. He immediately turned his life around after being introduced to the “We Build” Program. “My family looks at me and understands that I am a hard worker and they depend on me. Being able to provide for my family is the number one priority that I honor and it is all possible thanks to the “We Build” and Build LACCD Program,” Castaneda said. Before being involved in the apprenticeship program, Watson would go out every day in search of career opportunities. 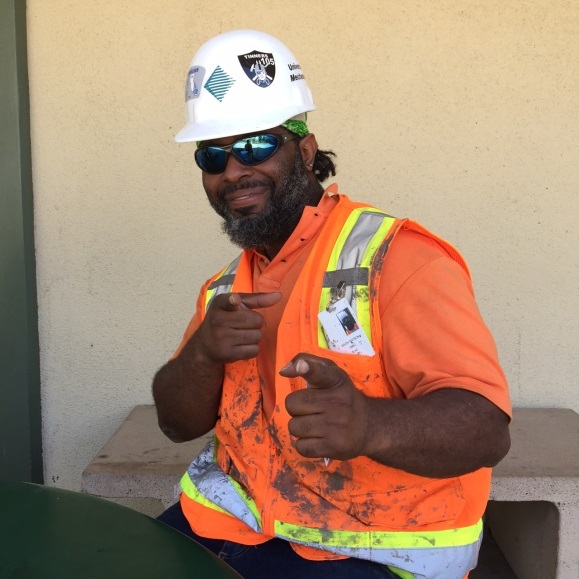 According to Watson, times were rough, but everything changed once he was exposed to the Local Worker Hiring Program at the Los Angeles Community College District’s Build Program. “I smile every day. It’s a sense of accomplishment. I come to work and provide for my family now. I’m not worried about bills anymore,” Watson said. In the army, Ralph Watson was in the 173rd Airborne Division stationed in Vicenza, Italy, where he met his wife, a retired Army veteran. They recently had a baby together. Watson implements the values he learned in the Army into his work. “In the Army, I learned how to pay attention to detail. A foreman or journeyman can tell me something and they don’t need to keep reiterating it to me. I can go out and accomplish a task,” Watson said. Watson is working towards becoming a journeyman and specializing in welding and residential sheet metal. He also shared that one day he would like to become a contractor to build houses. Once he’s a contractor, Watson hopes to give back to the community by constructing buildings for Habitat for Humanity and reaching out and helping veterans. “You have to keep on believing there’s something out there for you. I could have easily given up and said, ‘I’m just going to get a job in a warehouse. I’m tired of looking.’ But I didn’t give up, I stayed focused. Whatever’s out there for me is for me. I have to go out there and get it,” Watson said. “In February 2015, I was unemployed and looking to continue my education. My limited resources led me to look towards helping the community” said Choto. At her orientation she enrolled in a seven-week construction boot camp. The boot camp offered her valuable connections when she attended job fairs. “Construction interested me because, as a woman, I felt too much emphasis placed on beauty instead of real capabilities. I wanted to do something meaningful all my life, but had been reminded of my gender and the traditional roles of women. Working as a maid, I realized I forgot about my dream,” Choto said. “During training, I realized that I was equipped with skills I never thought I’d have, such as, mixing and pouring concrete, carpentry, working with power tools, and blueprint reading,” said Choto. She felt empowered and determined to become a tradeswoman after attending the Women Building the Nation Event. As a maid it didn’t seem possible for me to become a Construction worker, let alone, a member of the Cement Masons Local Union 600, but now I am, and I couldn’t be prouder! I’ve been blessed to work on LACC and LAVC. These experiences help me grow as I am learning something different each time. 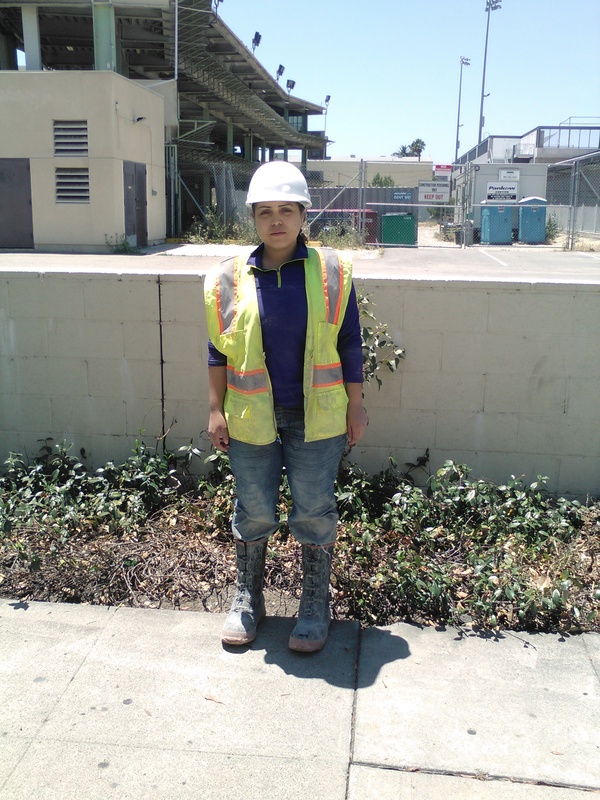 Every chance, every job site I’m on makes me stronger,” Choto said.